Cooking meats with the use of infrared rotisserie burner will make life even easier since you do not need to be there to watch the food over and keep on flipping the meat to see to it both sides are cooked evenly. 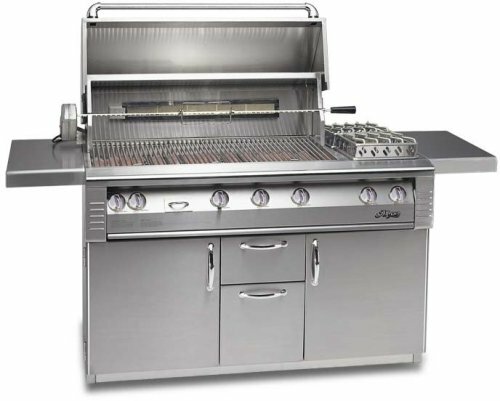 With the use of infrared rotisserie burner, you can be assured that the meat will be cooked evenly as the split rod constantly turns with the aid of the motorized rotisserie. The best part of it all, the meat will get enhanced flavors and juices will give more flavor to the meat without damaging the meat. Get rid of any grill racks, warming shelf and other stuff that will be in the way when you put on the rotisserie to your grill. Then, get hold of the rotisserie motor and install it right in to your grill’s mounting bracket. The location for the bracket may differ from one model to the others. After which plug the power cord to an outlet. Let the cooking begin! With the use of the split rod, attach the meat to it. Then, put the split rod towards the opening of the rotisserie’s motor and the other end would be placed on the hole found on the other side. This will aid in keeping the rotisserie be in place right above the grill’s main burners. In order to achieve even and fast cooking, you must move the meat or food right on the split rod and put towards the infrared burner, there should be direct contact between the food and the burner. In order to run on the burner, you must push the control knob and eventually let it sit to the LITE/HI mode. To know that you have succeeded, you will hear a sound (clicking) and would have a closer look of the burner as light comes out. You need to hold on to the control know for at least 10 seconds in order to make sure that the burner will stay lit all through out the cooking process. Then, turn on the motor in order to rotate the meat during the cooking process. Cook the meat until such time it will reach your desired internal temperature. You can choose to have the meat cook rare, medium-rare or well-done. The choice is all up to you.